Discussion in 'Guides' started by Gix, Mar 13, 2016. 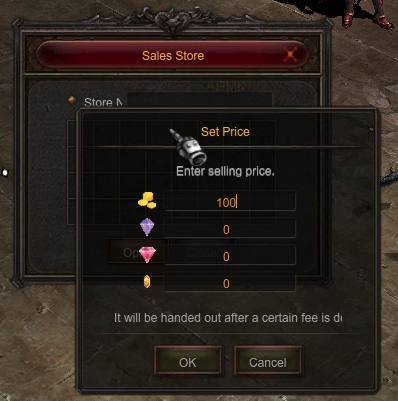 Offtrade is an in-game market system that allows you sell items for WCoins or Jewels after you close your client, so even if you turn off your PC your character will still be online selling your stuff. The only way of selling an item as for WCoins and not Zen is through the /offtrade command. Be warned that if your item has been sold for zen then this means you haven't used the command properly or the buyer bought the item before your character went into offtrade mode, therefore we suggest to have the /offtrade command already typed in the chat window so you can execute it right after opening your personal store and make sure no buyer is near you while doing this. 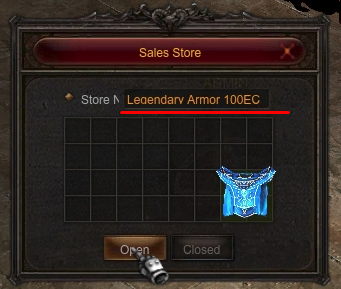 You are allowed to use multiple accounts to sell your items through the offtrade system. 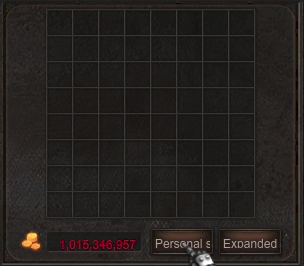 Important: for safety reasons ensure that your zen is maxed out (2 billions) and keep in mind you only start to sell for WCoins after your character is disconnected from the game, otherwise you will sell the item for Zen. If your items don't get sold at all then it's most likely because your items are overpriced or you're trying to sell them only for WCoins so find a balance between currencies and sell them for Jewels instead. Your client will be automatically disconnected after executing the offtrade command. The main town to leave your character into offtrade mode and sell your items is Lorencia.